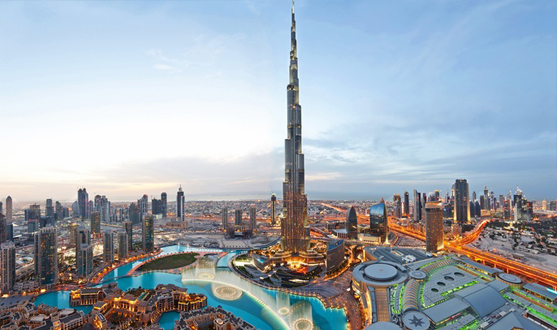 On arrival at Dubai International Airport, seat in coach transfer to your hotel. Check in and relax. 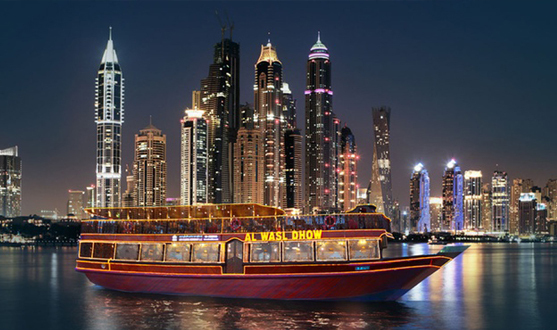 In the evening, our local representative will pick you up and transfer you for an evening Dhow Cruise. Enjoy the romantic cruise and dine under moonlight. View the amazing city of Dubai by night. The specially designed vessel is made of beautiful teak wood with an artistic touch that will make your dining experience all the more special. Dinner is served with complimentary soft drinks and mineral water. 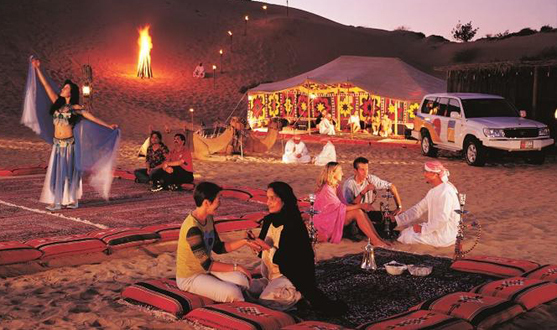 An impressive variety of international cuisine is complemented by genuine Arabian hospitality. Later, an enchanting belly dancer dances gracefully and rhythmically, keeping pace with the increasing tempo of authentic Arabian music. Excitement rents the air as the audience try to match her steps. Tanoura Dance performances will liven up the evening. Delicious BBQ buffet dinner is served right on time, unveiling a feast of Arabian and international delicacies. Overnight. Breakfast. Begin your tour at the magnificent Jumeirah Mosque built in 1979, designed in the style of Fatimi mosque in Egypt. If you wish to visit the mosque please wear appropriate clothing such as trousers, long sleeve dress and scarf (for ladies). Stop at Jumeirah Beach, passing by Jumeirah Beach Hotel. Click pictures at the world-famous Burj Al Arab, the magnificent 7 star hotel, an iconic representation of Dubai. Drive along the Palm Jumeirah - an exquisite man-made island claimed to be the 8th wonder of the world. Stop by the creek to view the amazing architecture of Deira Towers. Visit the fascinating Dubai Museum at the Al Fahidi Fort built in 1800 from sea rocks and gypsum to defend the city. The tour extends into the colorful textile market, and the gold souk to admire the sheer volume of dazzling jewellery available at tax-free prices. End the night with the spectacular Dubai Musical Fountain show at the base of the Burj Khalifa. Each colorful, illuminated jet sways in time to music, producing what has become the most popular show in Dubai. The beam of light shining upward from the fountain can be seen from more than 30 kilometers away. Overnight. 3 nights' accommodation in standard room at the hotel of your choice.